40" wide x 22" deep x 43" high. 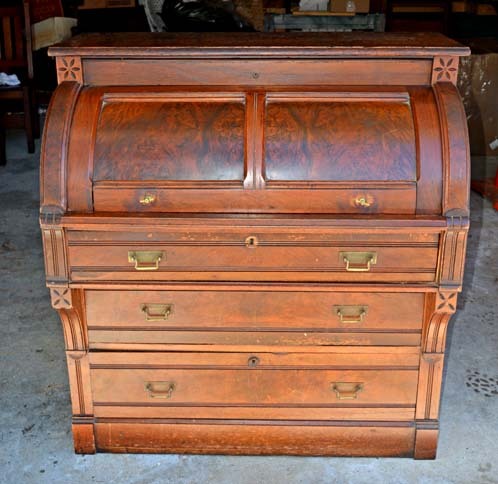 We are presenting this walnut Cylinder Desk for the bargain hunter. 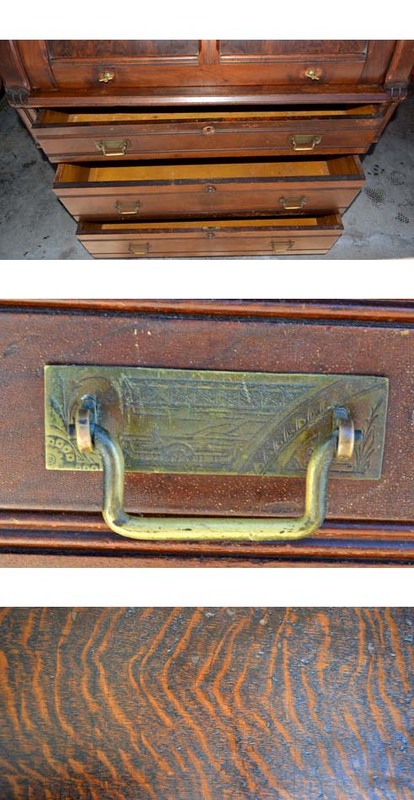 This cylinder desk is in the Eastlake style with incised flowers and lines on the front and brass hardware that indicates the Eastlake era. This makes this piece circa 1880-1890. The desk is walnut with burled walnut on the cylinder. All of the hardware is present with the exception of one wooden keylock that could be carved or purchased and all of the drawers are dovetailed. 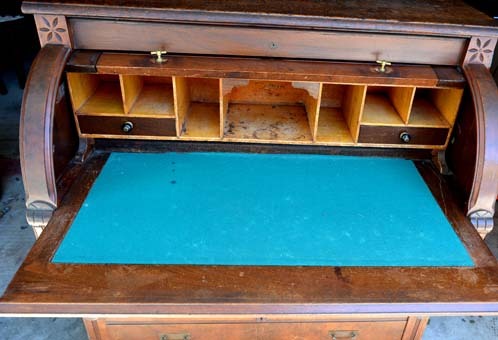 There is a felt covered writing surface that pulls out when the cylinder is pushed back and pigeon cubbies with 2 drawers. The desk has a piece of dark oak on the top surface which has been installed by a homeowner, and it is well-done. 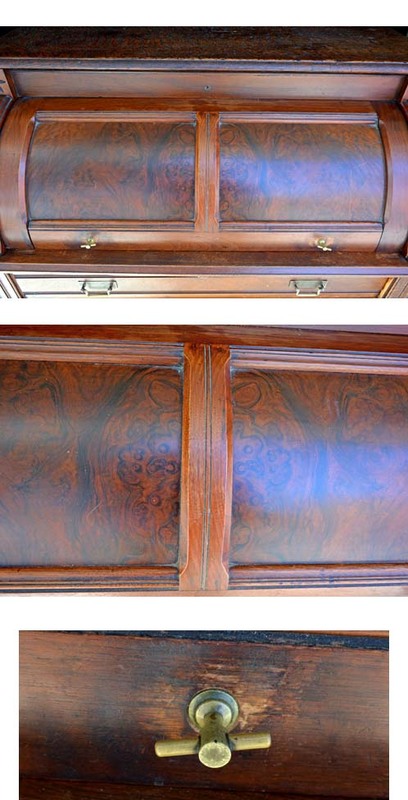 All of the pieces are present if the buyer cares to refinish this desk, but it is plenty usable the way it is. Don't miss out!